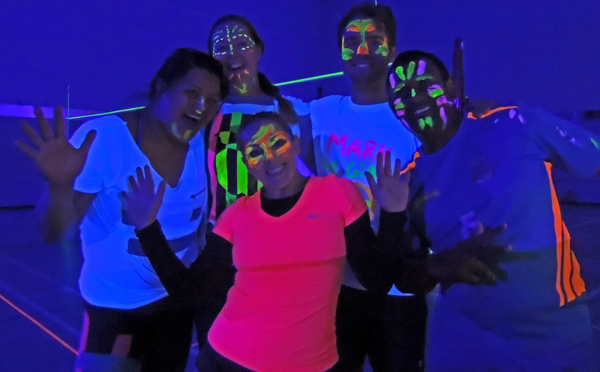 Time to book the date for our End of Season Glow Volleybash – Wednesday 24th April (8-10pm), time to get your glow gear out again, glow sticks, makeup paint etc. Once again we will have both courts going, open to ALL club members except for beginners. 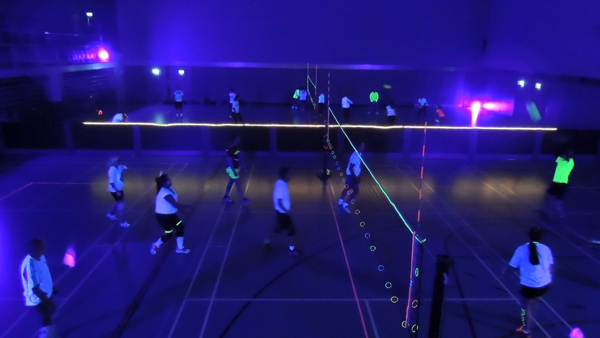 Just turn up in a light top (if we can’t see you, you can’t play) or you can purchase some UV Glow gear from most party shops, Range or from on line suppliers like http://www.uvgear.co.uk/ (just make sure it’s safe to play in). The LED balls are a bit on the plastic side, so long sleeves may be an option as well.